Austrian producer the Clonius is the latest contender in the glitch/bass/”wonky hip hop” sweepstakes. 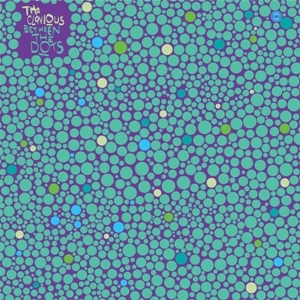 His debut, Between the Dots, comes on the heels of this summer’s solid Adroit Adventures EP. Ubiquity Records will release it on October 13. Guests include Muhsinah (whose “One At A Time” collabo from Adroit Adventures is reprised here), Dorian Concept, Georgia Anne Muldrow and Dudley Perkins. Much like Dorian Concept’s work, the Clonius adheres to the jazz-fusion end of the electronic/hip hop crossover, referencing broken beat heroes like Jazzanova and Herbert as well as the typical Prefuse and J Dilla sources. Beat generation artists are smashing the boundaries and connections between electronic music and hip hop worldwide, making something new with every release. “I hope to achieve that fine balance between a superficial forcefulness and a striking deepness. I come from a musical background that is heavily influenced by the jazz era of the late 1950s and 1960s. But a big part of my sound is sampling. Everything I record or produce eventually ends up in a sampler. As I see it the art of sampling comes close to a cloning process. So add my love for sampling with my love for old jazz records and the name The Clonious makes sense…I guess!” he adds. This entry was posted in News and tagged The Clonius, Ubiquity Records. Bookmark the permalink.